· Water Consumption Reduction by 34%-Zero dependence on Fresh Water. February 10, 2017, Bengaluru: Toyota Kirloskar Motor Private Limited released its Seventh Annual Sustainability Report 2016 recently. With the theme ‘Nurturing Inclusive Growth’ the report this year highlights Toyota’s committed efforts towards ensuring environmental, social and economic sustainability. TKM is relentlessly working closely with all stakeholders towards achieving low carbon society, reduce dependency on energy resources, reduce water consumption, efficient waste management, highest customer satisfaction and safety standards in all their business operations. As energy security is crippling the country, TKM being a responsible corporate citizen constantly worked towards reducing dependency on the grid power. Moreover the employees were made to identify, justify, and implement energy saving Kaizen. This inculcated a culture of innovativeness among team members as a part of Toyota work-culture. The future plan includes initiation of about 3MW of Solar Energy as a step towards self -sustainable energy system. The concept of ‘Yosedome’ – lean manufacturing, optimization of logistics, utilization of advances in technology, has resulted in 10% reduction in carbon emissions. The water recycling & rainwater harvesting efforts at the manufacturing plant, ensures “Zero dependence on Freshwater/River water” thereby reducing water consumption by 34% in the overall plant operations. The existing rainwater harvesting pond storage has increased capacity from 25000 cubic meters to 35000 cubic meters making rainwater the primary source of water at the manufacturing plant. The installation collects roof water from the industrial shed. The collected water is then treated at water treatment plant and sent for production. The treatment of waste water for production process is also in place for TKM. The recycling process is carried out using a membrane bio-reactor and a reverse osmosis unit, ensuring there is Zero discharge outside plant, thus zero contamination of water bodies and the usage for freshwater only for domestic purpose. With the current trends of consumption, the earth's resources are tending towards depletion. It becomes imperative for judicious consumption and utilization of these available resources to ensure that the future generations are sustained. In alignment with this notion, Toyota has adopted the 3 R strategies (Reduce, Reuse and Recycle) for the appropriate disposal of waste. With efficient use of resources and reduction in waste generation, in-house sludge drying yard and vermicomposting facilities, there is a dip in Volatile Organic Compound emissions by 23% and Waste by 47% in the last five years. TKM has also developed a native forest integrated within its manufacturing plant by growing 2.65 lakh trees to enhance the biodiversity of the region surrounding its facility. With these results, TKM aims to take its sustainability goals a notch higher in its upcoming Sixth Five Year Action Plan. The report further educates on TKM’s CSR commitment and proactive measures initiated to campaign on Environment, Education, Road Safety, Skill Development, Traffic Safety, Health and Hygiene. 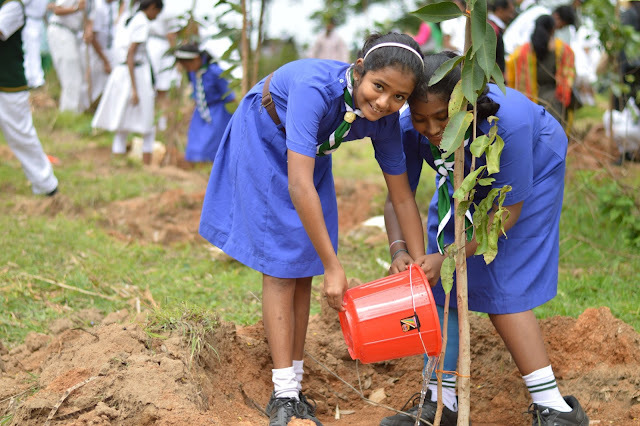 Toyota Kirloskar Motor initiated Swachh Bharat Swachh Vidyalaya – Girl Child Sanitation Program in schools in line with Prime Minister’s Swacch Bharat Abhiyan. TKM conceptualized and implemented a unique CSR initiative - Project ABCD ‘A Behavioral Change Demonstration ’aimed at curbing one of the grave concerns faced by our country – Open Defecation. By the year 2016-17, TKM has set a target of 40 villages to become open defecation free in Karnataka and has been already successful in ensuring 100% sanitation in 27 villages. More than 1 lakh village population have been trained on sanitation through this program and motivated to construct household toilets. 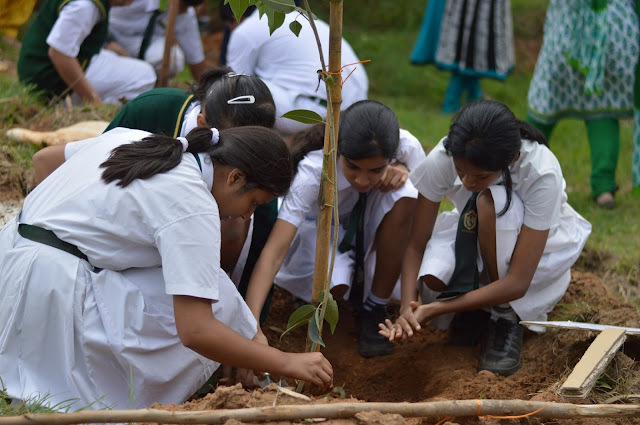 To inculcate a positive attitude amongst the next generation towards environmental sustenance, Toyota in association with the Centre of Education rolled out the “Green-me” campaign aimed to create eco-conscious minds amongst school children. The company installed a total of 12 water purification units at Byramangala, Ramanahalli, Bidadi, Manchanayakana halli, and Harohalli Grama Panchayats and one each in Varanasi and Vaishali contributing towards 83% reduction of water borne diseases. Additionally, TKM has achieved another milestone under sustainable development of skill through Toyota Technical Training Institute. TTTI has been selected for the “Manufacturing Skill Transfer Promotion Programme”, aimed at enhancing the manufacturing base of India and contribute to "Make in India” and "Skill India,” through training 30,000 persons over next 10 years with Japanese style manufacturing skills and practices under the MoC signed by the Ministry of Economy, Trade and Industry, Government of Japan (METI) and Ministry of Skill Development and Entrepreneurship, Government of India (MSDE). Mr. Raju B Ketkale, Senior Vice President of Toyota Kirloskar Motor and Chief Editor of the report emphasized that “We are happy to launch our Seventh Sustainability Report for the FY 2016. Through this report we would like to showcase TKM’s commitment towards co-creation of shared values involving all its stakeholders. Further, the report recapitulates TKM’s initiatives towards sustainable business practices in Economic, Social and Environmental aspects with consistent support from all stakeholders. With the major milestones achieved this year we are all geared up to take up much more competitive challenges in sustainability growth of People, Planet and Profits ”.